WOW! BETTER THAN NEW! GREAT PRICE! GET READY TO SAY YES TO YOUR DREAM HOME and SAVE $50,000+ BY CALLING TODAY! YES! Sparkling clean, fresh, and move-in ready for Christmas. Custom upgrades & freshly updated home with all the bells and whistles. All it needs now is your personal touch. YES! 2400+ Sq Ft includes 3 Huge BRs (2 Master Suites+Guest BR or One Master, one Guest BR, + Separate Mother-in-Law Suite.) Large master bath w/ garden tub, dual sinks & makeup. YES theres even MORE, including: Brand New top-of-the-line Stainless appliances, new granite counter tops, new carpets, new interior paint, new professional landscaping, new automatic irrigation system. (And YES, even your own private well for irrigation!) Charming, quiet, safe residential Village of spacious homes on oversized homesites. 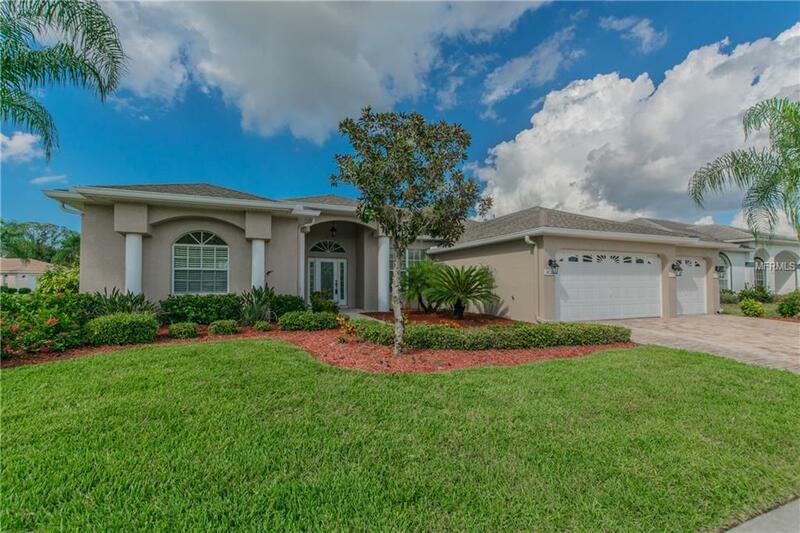 Easy commute from Brandon or Tampa to this property in Ruskin/Sun City Center just East of I-75. Easy Golf-Cart ride to your own Private Golf Course and Private Clubhouse. Three-car garage (Perhaps two cars plus a Golf Cart?) Yes this is a Golf-Cart-approved community. Low HOA fee $419/year. Built by award winning & respected builder Miller Florida Homes Inc. Builder of Quality Family & Executive Homes throughout Florida since 1955 - Too many additional features to include in this space. This special home immediately rises to the top of your MUST VISIT TODAY homes. NO CDD Fees. NO Builder Fees. NO Flood Insurance required. Golf Club and Restaurant membership NOT Required. NOT an age restricted community.